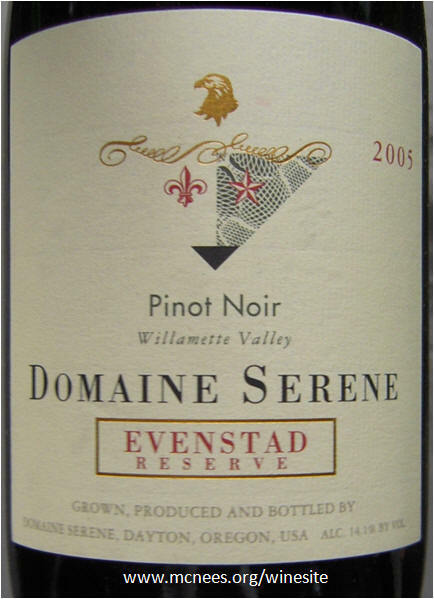 Invited over to Bill and Beth C's for a casual dinner of gourmet grilled burgers on the deck, Bill served one of my favorite Pinot Noirs, Domaine Serene Evensted Reserve Pinot Noir. For a comparison tasting, I took over a Ladera Pillow Road Vineyard Sonoma County Pinot Noir. To round out the comparison tasting, Bill had a Trader Joes Russian River Valley Pinot Noir. 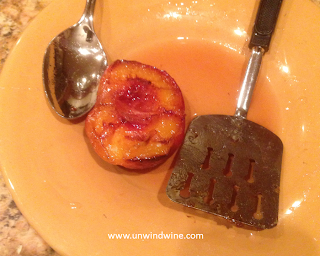 Afterwards, Bill prepared grilled carmelized peaches marinated in a bourbon honey reduction served with ice cream. For such a delicious special treat, he poured a suitably fitting delicious dessert wine - Kracher Chardonnay TBA #9. Bill's notes from Cellartracker - My style of Pinot. Bright garnet in the glass. Plenty of structure. Complex layers of sour cherry, smoky blackberry and oak. Balanced but with the acidity one old expect and a tremendously long finish. Linda and I discovered this wine at a memorable outing during one of our get-away weekends to Chicago, at Smith & Wollensky sitting outside overlooking the river for a summer afternoon wine, salad and cheese interlude. My notes - This is my standard bearer for how a Pinot should taste. 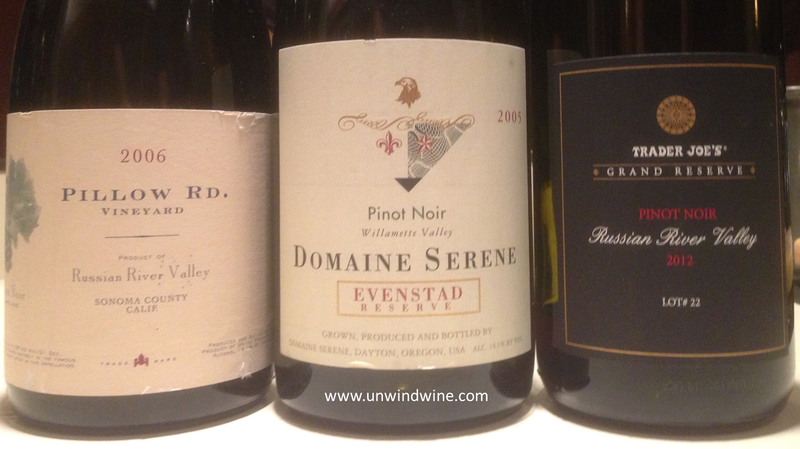 They produce at least three ultra premium priced pinots above this one, none of which have I tasted. I look forward to doing so at some point as I love this wine. I am not a fan, however of their lower priced entry level offering, Yamhill Cuvee. Dark garnet colored, medium bodied, scents of anise, full flavorful black fruits, hints of anise and spicy cinnamon with a touch of oaky vanilla on the smooth silky finish. We first tasted this wine at the Ladera Winery up on Howell Mountain above Napa Valley, where they are known for their Cabernet Sauvignons, during our Napa Valley Wine Experience 2008. The Ladera owners, the Stotebery's also own this property up in Sebastopol on the southern end of the Russian River Valley about fifteen miles from the Sonoma Coast. They have 20 acres of Pinot Noir. Garnet colored, medium bodied, aromas of cherries, spice and cola with hints of oak which lingers on the finish. A respectable effort in this easy drinking entry level Pinot that provides reasonable QPR - Quality Price Ratio. Its hard to find a low end entry level Pinot such as this. Pick some up for pizza and moderate pasta dishes. 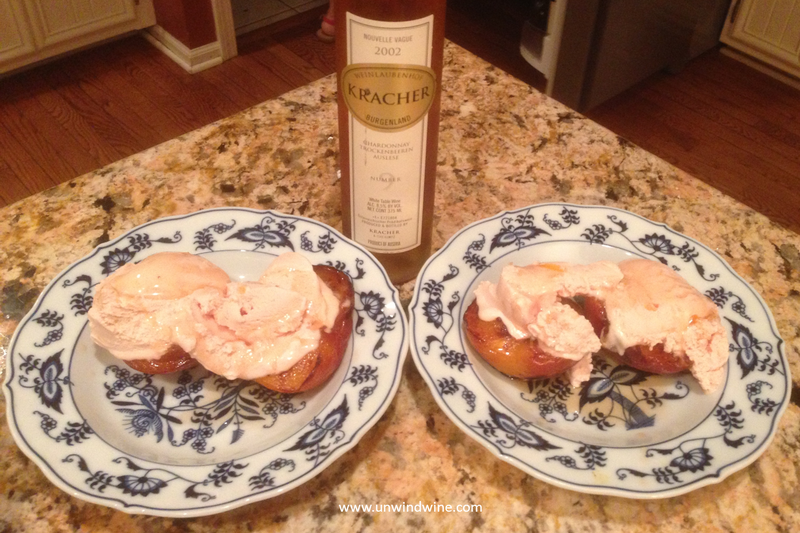 Austrian Alois Kracher produces some of the world's best dessert wines. Bill's notes from Cellartracker - "Deep golden amber color. Peach and honey on the palate with just enough acidity to keep this from being cloying. Served with grilled peaches infused with bourbon and honey topped with peach ice cream." Bourbon and honey infused grilled peach.